Traditionalists should try the tonkotsu ramen, but don’t miss Tran’s soulful gumbo variety. 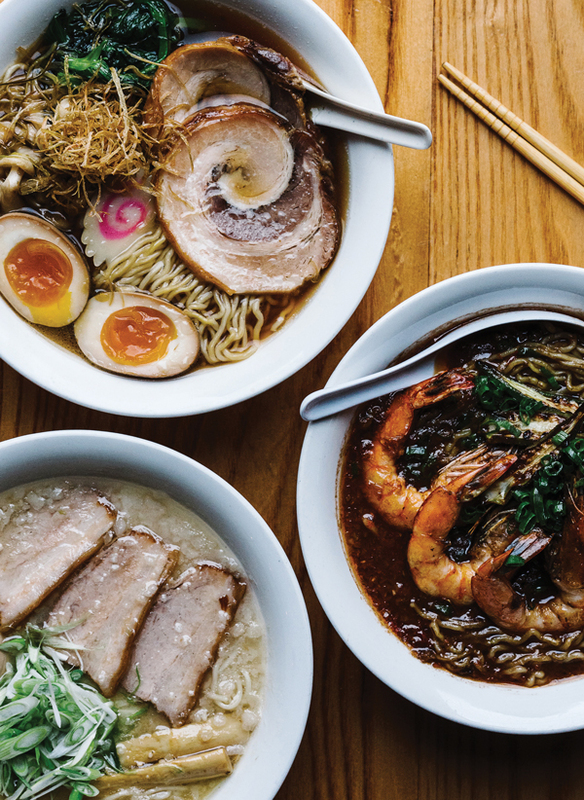 Ramen can take days to assemble, starting with a rich broth that’s simmered for hours to harness every ounce of flavor and fat. Waiting for the privilege of ordering a bowl is its own test of patience. In recent years, the nationwide demand for Japan’s star slurper—and not the instant variety college students live on—has come to a boil. Just ask Andy Tran, whose ramen pop-up, Ramen Crush ATL, has been attracting long lines since last September. “It breaks my heart to see people wait two hours to eat, but we can’t control what time they show up,” says Tran, who typically sells out within hours. For the month of March, those wanting a bowl but dreading the wait are in luck: Tran is taking his one-day pop-up full-time, serving at Last Word, Tuesday through Saturday from 5 p.m. to 11 p.m. Wait times, so far, have been manageable. Tran is using the dinners to perfect his ramen for a future brick-and-mortar, which will hopefully open in the coming year.